Chapel of Santa Cecilia, part of the Montserrat monastery near Barcelona, Spain. I had visited Montserrat as a child, and an image of towering rocks standing like giant watchmen above a quiet monastery bathed in the morning mist was forever impressed on my memory. Montserrat is a unique marriage of nature and culture. The lonely, saw-shaped mountain, located about an hour northwest of Barcelona, is a sculpture in its own right, fifty million years in the making. Firmly planted on the mountainside, the monastery of Our Lady of Montserrat has been for many centuries the beating heart of Catalonia and a spiritual oasis attracting hundreds of thousands of visitors and pilgrims every year. Today, about sixty Benedictine monks gather seven times a day in the church choir under the benevolent and queenly gaze of the Black Madonna. A few miles down the winding road from there, sitting humbly on a shoulder between the vertical mountain and the far-stretching horizon, is the chapel of Santa Cecilia. That an Irish-American artist, whose name, as Arthur Danto put it, “belongs on the shortest of short lists of major painters of our time,” would elect a modest Spanish chapel to make what he called “his most important installation to date” is quite an enigma. It is certainly not because the doors of more conventional institutions were closed to him. From the Tate Modern in London to the Metropolitan Museum of Art in New York, his “walls of light,” as he likes to call his stripe paintings, have hung in some of the art world’s most prestigious rooms. In 2015 he was honored at the Venice Biennale and became the first western artist to have a large-scale retrospective exhibition tour Chinese museums. Santa Cecilia was not initially on the artist’s mind. He came up to Montserrat in 2009 with his Barcelona gallerist, Carles Taché. Taché meant to introduce him to Father Josep de C. Laplana, the Benedictine monk in charge of the Montserrat Museum of Art. 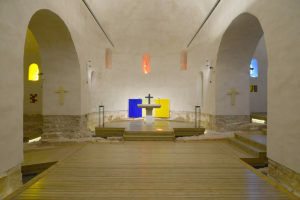 While over the past decades the museum has built up an impressive collection of Catalan and international modern art, from El Greco to Picasso and Tàpies, Sean Scully was reluctant to exhibit his work in this setting: “I don’t like museums,” he bluntly stated, before asking if there was any possibility of showing his work in the monastery instead. 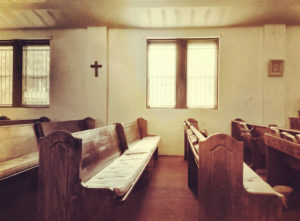 Father Laplana thought of the little chapel a few miles away, which had lain unused and forgotten for over two decades. The monk, the gallerist, and the artist hopped in a car and drove down the road to Santa Cecilia. 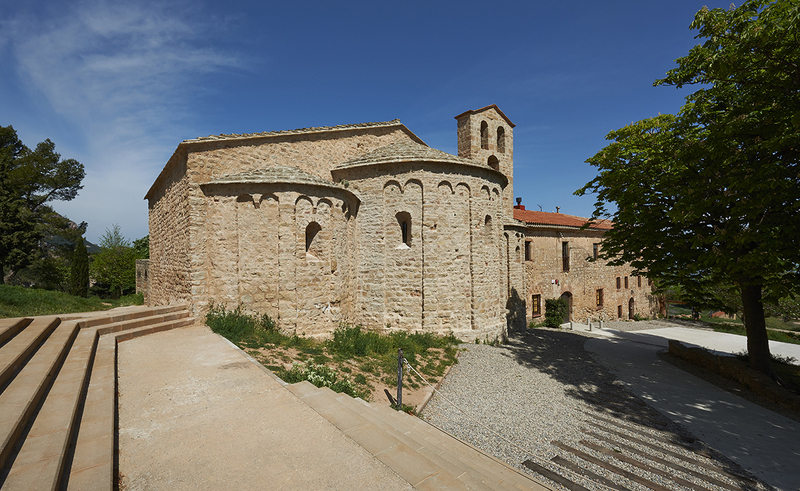 A gem of Romanesque simplicity, Santa Cecilia is also a model of architectural resilience, several times abandoned, ruined, and restored during her millennium-long history. When Scully stepped into the chapel for the first time, he hardly seemed to notice the dust and decay. “All my life, I have been looking for this place,” he said. Before we, too, step inside Santa Cecilia, it is worth looking back at the artist’s journey up to that day. To say that he had been looking for this chapel all his life was paradoxical, given that he had never worked for a religious institution before, nor shown any interest in such a thing, and that his geometrical abstractions bear no explicit reference to religious themes. Yet, several facts he often recalls about the awakening of his artistic vocation point toward an early and profound, if hidden, connection with the sacred. Growing up in the suburbs of London in a family of hard-working Irish immigrants, Scully first learned about art in a local Catholic church. His youthful imagination was captured by the fourteen Stations of the Cross, the crucifix, and the representation of the Virgin Mary. “They weren’t probably any good…but they were paintings, and when you are a kid, you don’t really care so much what they’re about. The fact that they’re paintings is what’s fascinating, and that they tell stories and make you have feeling.” He loved to attend Mass on rainy days, when the rain would drum so wildly on the tin roof that the chapel would be filled with a deafening roar. Sermons and music would become literally inaudible. Only the paintings would keep speaking clearly. Driven by a sense of loss and nostalgia, ten-year-old Sean Scully did not give up on religion altogether, and would sometimes stop by Saint Philip’s Catholic Church on his way back from school. There, his beauty-hungry eyes fell for the altar candles. “These candles, not lit, held a soft light. It seemed to be gathered to them from all the weak late afternoon light that seeped into the church from the street outside. They were solid, smooth, and heavy: yet strangely glamorous in their translucent silence. They stood as slim figures, sentinels, even before I knew about Giacometti. And this light, that was held in a body, fascinated me.” For no particular reason other than his fascination, he started sneaking the candles out of the church into his home, one by one. The parish priest, investigating the mysterious disappearances, followed a lead to Sean’s house and knocked at the door. “He then told me, very sweetly, that if I had taken something that belonged to God, and I then returned it to him, I would be in ‘higher standing’ with God than I would be if I hadn’t taken it in the first place. This immediately appealed to my strong sense of business. 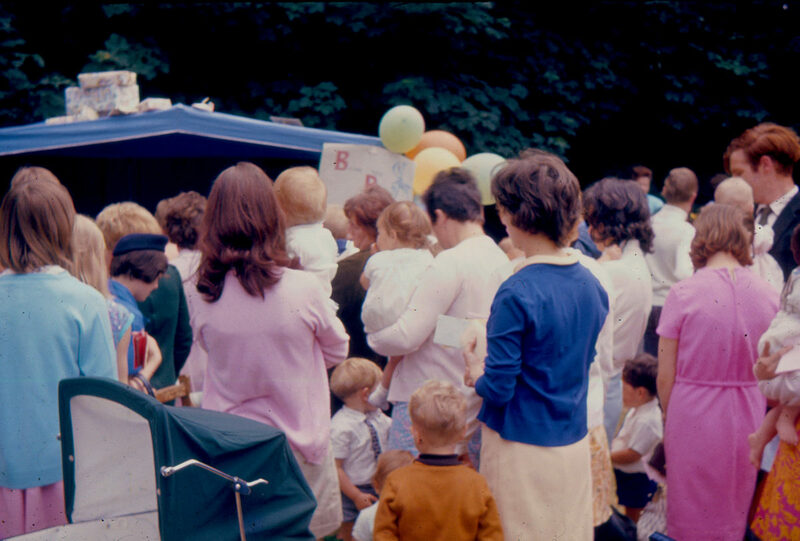 It seemed me that not only could I get out of a tight corner, but I could improve my relationship with God.” Sean gave the candles back, and became friends with the kind mediator of this providential reconciliation. Sean Scully is a free spirit. Like the chapel of Santa Cecilia, he is also a model of resilience: he has lived through hardship, exile, trauma, dire poverty, and the most cunning of all enemies for an artist, success. Tested by fire, his nature leans towards irreverence and rebellion. However, in our meetings he would always talk with affection and a kind of filial devotion about Father Laplana, the Benedictine head of the Monserrat Museum mentioned earlier. When he showed me pictures of “Padre Laplana” (as he would always call him, muting his Irish-American accent as best he could for the occasion) pouring water on the forehead of his son Oisín in a chapel at Montserrat, when he told me about the long hours spent walking in his company, the monk holding his arm in a fatherly way, I understood that Laplana was a lot more for Scully than just a collaborator, and that Scully had found in the heights of Montserrat a spiritual home, as a man and as an artist, for him and for his family. Father Laplana is heir to his monastery’s long tradition of engagement with art and culture, from the legendary Llibre Vermell de Montserrat, one of the most extensive collection of late medieval hymns, compiled by the monks in the fourteenth century, to the Escolina de Montserrat, among the most reputed boys’ choirs in the world and the springboard of many great musicians, to commissions of the greatest Catalan artists, Gaudí included. Although his early passion was ancient art, Father Laplana was drawn to modern and contemporary art when he took over as director of the museum, whose extensive collection, built by the visionary Abbot Marcet between the two world wars, was constantly being increased by new donations. Without his ever leaving Montserrat, his commitment to art bloomed into friendship with artists, among them Joan Miró, Eduardo Chillida, Bill Viola, and now Sean Scully. When I met Father Laplana in 2015, my first impression was of a man like Montserrat itself: a monk solid as a rock, a sentinel glowing from within, like one of Scully’s childhood candles. We walked under the arches of the antique monastery, down the garden overlooking the Pyrenees, conversing about art and life. In the museum, he showed a profound appreciation for each painting, often seasoning his wisdom with a pinch of humor. Sometimes he would stop and invite me to sit in silence and let the work speak for itself. Chapel of Santa Cecilia, interior. The wooden doors opened before us, and we walked through the inevitable gift shop, a renovated courtyard, and an informative gallery telling the story of the chapel on one side and that of the artist on the other. Then came the much-anticipated moment: opening a glass door, we walked inside Santa Cecilia, still and solemn, bathed in the morning sun seeping in through the yellow, red, and blue stained-glass windows. The space inside is divided in three: a central nave dedicated to Saint Cecilia, flanked with two side chapels, a first built on slightly lower ground and dedicated to Saint Peter, and a second, a few steps higher, dedicated to the Virgin Mary. In the latter hangs the monumental Holly, featuring fourteen insets for the fourteen Stations of the Cross. It faces Doric Nyx, an austere, black-on-gray tryptic hanging on the opposite wall in Saint Peter’s chapel. The central nave is built around the original massive stone altar. 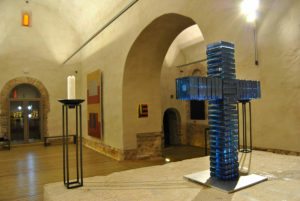 A glass tryptic follows the curve of the apse behind the altar, adorned with an altar cross made of blue glass bricks. Two large canvases, one dedicated to Saint Cecilia herself, the other to the Mediterranean, hang on the centuries-old dry-stone walls. When Henri Matisse designed the chapel of Our Lady of the Rosary in Vence, France, he adopted Saint John’s depiction of the heavenly Jerusalem in the Book of Revelation as the architectural plan of his work. Santa Cecilia, like a bride bedecked with jewels (cf. Revelation 21), has nothing to envy her older French cousin. Picasso, exasperated by his friend and rival’s work on a Catholic place of worship, once famously told Matisse that after his death they would be quick to transform his chapel into a museum. Sixty years later, both men are dead, and the chapel is still a chapel, used daily by Dominican nuns. Although Matisse’s hand is unequivocally everywhere, he himself has disappeared, and the chapel now points to something else, something bigger, which the light silently praises and which each Eucharistic liturgy incarnates. The same is true for Santa Cecilia. Entering for the first time, a visitor may be overwhelmed by the presence of the artist, especially if already familiar with his work. But with time, the paintings slowly recede. They do not claim attention or cling to their artistic dignity. Rather, they humbly accept becoming part of a whole, an ensemble, and no more than the stage on which something greater happens, no more than a threshold leading to a larger world. One could say that this marriage between Sean Scully’s paintings and the walls of Santa Cecilia was one prepared in heaven. The grid, a reflection of the urban environment he grew up in, imposed itself on Scully’s work early on. Later, his repeated trips to Morocco, and in particular his discovery of Moroccan rugs, lit up his grids with life and emotion. Strips of dyed wool hung out to dry above the streets, colorful textiles in surprising patterns, carpets piled high in the marketplaces—what he saw during his trips to Morocco in the late sixties, seventies, and nineties had an enormous influence on his development. His paintings can be compared to those carpets—flat, but vibrant with rhythm and colors and relationships. Now, as you walk through the gallery that leads to Santa Cecilia, do not forget to stop by the small reproduction of a painting depicting the inside of the chapel as it used to appear centuries ago. Romanesque architecture was not bare and pure, as time left it and as we retrospectively idealize it: the walls were covered with frescoes; thick, colorful curtains hung in the sanctuary; and rich carpets covered the floor. The renovation of Santa Cecilia by Sean Scully may usher it into the third millennium, but it also gives it back the old splendor it harbored at the turn of the first millennium. Why do twenty-first-century abstract paintings look so much at home in a chapel erected eleven hundred years ago? The answer may lie in Ireland, where Scully has made several trips in search of his roots. On the west coast, on the Aran Islands, long walls of dry stone were built to protect humans and animals from the cold bite of the wind. The artist dedicated a whole series of photographs to these rugged stone walls, praising their “unremitting, austere, repetitive variety” that leaves each stone its individual dignity while integrating it into a solid and cohesive whole. The artist started building his paintings like walls of color, block upon block, layer upon layer. In 2006, the Metropolitan Museum of Art brought to New York City the first major museum exhibition of Scully’s paintings, Wall of Light. Like Byzantine icons, Scully’s walls of light are about a presence seeping through from behind or beyond the painting. Three years later, Scully was introduced to Montserrat. “The bricklayer of the soul,” as Bono nicknamed him, was ready to create works for the rugged stone walls of Santa Cecilia. I wrote earlier that a first-time visitor to the chapel familiar with Scully’s work might be overwhelmed by his presence at first, until the artist as an individual fades in the background. You could compare that to acting. When a famous actor first shows up on the screen, all you see is the actor. After a while, if the actor is good, he or she becomes invisible and the character comes to life. I challenge anyone who enters the chapel without any knowledge of the artist’s biography to get any information about his life or psychology just by looking at the paintings. 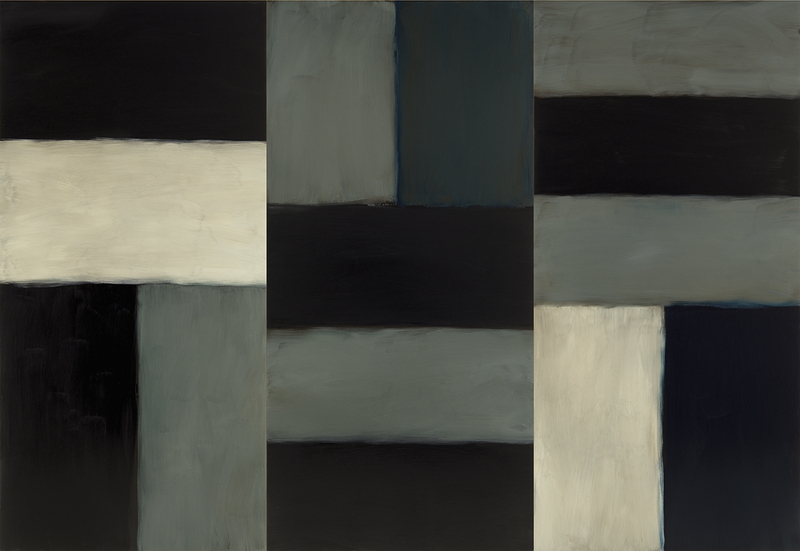 By imposing on himself such a simple language, Sean Scully left very little room for his own subjectivity. His life has included times of heartbreaking anxiety and profound joy, but throughout, his work has remained remarkably constant, his evolution devoid of bumps and unexpected turns, as if endowed with a life of its own. This stability comes not from a conceptual flight, but from objectivity, from the artist’s relentless and loving commitment to reality. More than anything else, this humility and objectivity is what made Sean Scully capable of sacred art. That is, of an art that glorifies the One who is the author of reality. Sean Scully. Holly, 2013. Oil on steel. 9½ x 19½ feet. Chapel of Santa Cecilia. Of all the works inside Santa Cecilia, Holly stands out, not only for its monumental size, but also for its religious atmosphere and austerity. Fourteen insets are embedded in a heavy panel of raw steel: seven painted in light, airy tones make up the upper row; seven in heavy earth tones compose the lower. They represent the fourteen Stations of the Cross, fourteen moments from Jesus’s dramatic ascent up the Golgotha: a human tragedy, as symbolized by the bloody, earthly colors in the lower row; a way of redemption, a triumphant march, as expressed in the heavenly colors above. To the eyes of men, a descent, a kenosis. To the eyes of faith, an ascent, a victory. 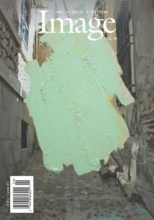 Each inset is made of two blocks of color, staging a simple, elemental relationship, not unlike Rothko’s late paintings from the sixties, as if to remind us that both passion and redemption originate in relationships: Jesus’s passionate love for humanity and his absolute, filial obedience to the Father. At the bottom of Holly a sentence in Latin is carved in the steel: Languores et luctus humani generis in cruce Christi unde salus, vita, et pax. “The pains and sorrows of mankind focus on the cross of Christ, from whence come health, life, and peace.” From the apse of the Marian chapel, a few steps further and higher, the stained-glass window radiates a deep blue glow that softens the Stations, like a motherly caress. There is a hidden autobiographic dimension to this work. As with other works in the chapel, Scully’s depiction of the realities of faith draws from personal memories. Holly was the surname of his mother. 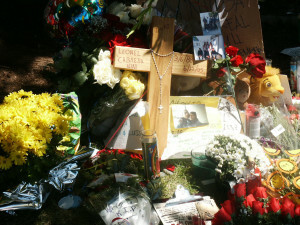 When she died in 2004, he went into her bedroom in search of memorabilia, and in the drawer of her bedside table he found a book: the devotional he used as a child, a bookmark marking the chapter on the Stations of the Cross. The memory of his mother hence became associated for him with the Stations. Perhaps his mother’s love, though geographically distant, always accompanied him on his own way of the cross, from his violent teenage years to the pains and sorrows of his adult life. Sean Scully. Doric Nyx, 2013. Oil on aluminum. 110 x 160 inches. Chapel of Santa Cecilia. Holly directly faces two other paintings, with which it seems to engage in a silent dialogue. Doric Nyx hangs on the wall of the lower chapel, the chapel of Saint Peter. Though smaller than Holly, it has nevertheless an imposing and tragic presence. Painted in dark shades of gray, this work from the 2013 Doric series is named for the Greek goddess whose dreaded apparitions only came at the darkest hour of night. With this work, Scully introduced into the chapel the darkest hour of his life: the death of his nineteen-year-old son Paul in a car crash in 1983 in London. “Tragedy is part of spirituality,” he commented, standing next to Doric Nyx at the press conference on the inauguration day. Severely painted, like a cemented wall, the painting conveys a sense of fate, of a life sentence without appeal. If there was drama in Holly, Doric Nyx has the mournful stillness of a Pietà. Its triptych format is a recurring device of Scully’s. This is partly a reference to Duccio’s Maestà, a painting of the Virgin and Child which had a decisive impact on him, and partly because the number three, in the Christian world, is the symbol of relationship—and Scully’s paintings are all about relationships. Doric Nyx is about a failed relationship and its tragic ending. The placement of this painting in the chapel transforms the tragedy into an offering, the failure into a prayer. Facing Holly from within the same Marian chapel is a small, unassuming fresco. Located in a corner, almost hidden, painted directly on the wall in bright colors and with a kind of childlike playfulness, it is on the opposite end of the human spectrum from Doric Nyx, fresh and humble like a nativity. This work, too, has a hidden biographical element. 2009, the year Scully first visited Santa Cecilia, also marked the birth of his second son, Oisín, from his second marriage, with painter Liliane Tomasko. Standing next to the little fresco, Scully called Oisín’s birth “a gift from heaven.” It was a crack opening suddenly in the dark sky of Doric Nyx, letting in a ray of light and hope. This fresco is way of giving thanks, the way people used to hang ex votos in churches to thank God for answering their prayers. Again, the biographical background is not immediately accessible to the visitor, but the gratitude and joy the fresco exudes is an invitation to recall our own blessings with thankfulness. Sean Scully. Altar Cross, 2013. Glass and steel. Chapel of Santa Cecilia. Now let’s move to the central nave and have a look at the altar cross. 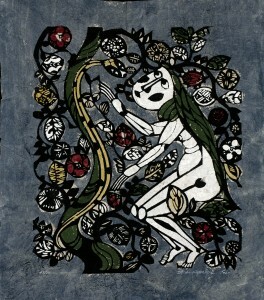 Sculpture has been of increasing interest in Scully’s recent work. Aside from two monumental 2007 sculptures, Wall of Light Cubed, made from blocks of colored Portuguese granite, it is only in very recent years that the artist started exploring the three-dimensional possibilities of his language. The altar cross of Santa Cecilia is made of stacked blue glass bricks. The transparent material reveals the bare steel inside that holds it all together like a skeleton. He told me that he wanted to show the hardness and roughness of the cross, and cover it with this soft blue armor, as if to let the motherly and compassionate presence of Mary veil the otherwise unbearable sight. Childhood memories may have oriented him, consciously or not. I once asked him who had the biggest impact on him as an artist. I expected him to answer Rothko, or Matisse, or Cimabue. “My grandmother,” he said without hesitation. He recalled her as a poor, hardworking woman who had several jobs and seven children to care for. She was also “a very devout woman” with “a joyful grasp on life.” The hardness of life, covered by a mantle of faith and joy. He also mentioned in a recent lecture about Santa Cecilia that his grandmother used to make a game of stacking coins, challenging herself to raise the tower as high as possible—an image echoed in the blue glass bricks. Sean Scully. Cecilia, 2012. Oil on linen. 118 x 75 inches. Chapel of Santa Cecilia. Of all the works in the chapel, the painting named for Santa Cecilia herself deserves special attention. Approximately human-sized, this vertical painting is a spiritual portrait of the saint, and, as always with Scully, it is not as abstract as it may seem at first sight. 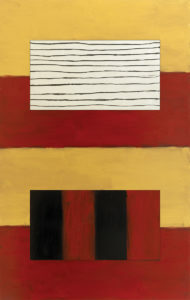 It is a good example of his goal of “humanizing abstraction” by “reconnecting it with the realm of experience.” The main panel is painted horizontally with the red-on-gold stripes of Catalonia. The grain is thick and the brushstrokes muscular, as if some local farmer had spread the very earth of the region on the panel. Two insets tell the story of the fifth-century Italian saint. A young woman from a wealthy family, Cecilia was brought to court by the prefect of Rome, Turcius Almachius, a man infamous for his hatred of Christians, who coveted her family’s wealth. She was given two options: to sacrifice to the gods or to die. “Do you know that I am the bride of my Lord Jesus Christ?” she replied. She was sentenced to death by beheading. The painting’s upper inset, a stream of weightless lines running freely through the panel, tells of how she sang to God as the executioner drew near. Like a musical score or the strings of some angelic harp, the inset offers a spiritual portrait of the patron saint of musicians. The lower inset is made of four vertical stripes, red and black. Forceful and unrelenting as a butcher’s knife, they symbolize her martyrdom. Again, tragedy and salvation, gravity and music, come together in harmony. When I asked Sean Scully what it was he loved the most about the chapel of Santa Cecilia, he replied: “The little frescoes on the wall, because they are the humblest part…. You know, when you do something, no matter how big and expensive it is, its value will always lie in something very humble. It’s like love.” In a 1952 interview, Henri Matisse had a similar answer when asked about abstract art. The problem is not abstraction or figuration, he said. The problem is that as an artist you cannot start from nothing, you can only start from love. This is certainly a key to the enigma of the unlikely birth of Santa Cecilia: this chapel comes from love. Sean Scully’s love for his mother, his grandmother, his wife, and his two sons. 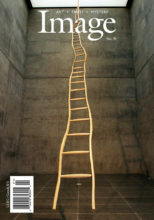 His love for reality, an incarnate love that has motivated and animated his work throughout his creative life. 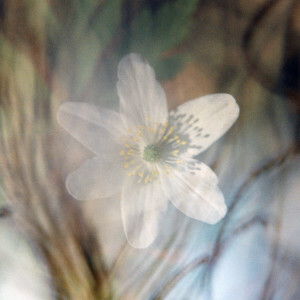 His love for the mystery, whose light he always sought and invoked through and beyond the wall of sensible appearances. On the day of the public inauguration, he opened the press conference by pointing to another love, as discreet as it is profound: “This chapel,” he said, “is the fruit of a friendship, my friendship with Father Laplana.” This relationship is, without doubt, the inner principle of Santa Cecilia: the chapel never was a project of the artist; it came out of the filial openness born from a friendship with a sentinel, a man glowing from within. On Wednesday, July 1, 2015, the day after the grand opening, Santa Cecilia had recovered her halo of silence and stillness under the quiet patronage of the mountain. I walked inside the chapel. Father Laplana was already there and had everything prepared for Mass, from the red chasuble to the golden paten and the blue chalice. Sean Scully soon walked in as well and sat on the one, wooden pew facing the altar, next to Father Laplana. Humbled by their friendship, on my fifth anniversary of priesthood, I celebrated the first Eucharistic liturgy in the newly reborn Santa Cecilia. Father Laplana sang the ancient Gregorian hymns, and I preached on the readings proposed by the liturgy for the feast of Santa Cecilia: the wise virgins holding their lamps alight, waiting in the night for the coming of the bridegroom. It was an appropriate metaphor for a man who, for many decades, kept his (oil) paintings alight with beauty and hope, even “at the darkest hour of night,” when his life seemed a dead-end. Stubbornly hoping against all hope, he kept painting until the doors of Santa Cecilia opened up for him, allowing his heart—and his work—to find a spiritual home. We are glad that these doors are now opened for all those, artists and other God-seekers, who hunger for light in a time of darkness, for unity in a time of division, and who long to celebrate in heaven the marriage of beauty and truth. For more on Santa Cecilia de Montserrat and the Sean Scully Institute for Art and Spirituality, an institute founded by Father Laplana at Santa Cecilia in order to promote a dialogue between art and spirituality through meditation, lectures, and music, visit www.santaceciliamontserrat.com. A twenty-five-minute film on Santa Cecilia is also available on YouTube (search for “Sean Scully Montserrat”).